With just 3 ingredients, this sauce really packs a punch with flavor. 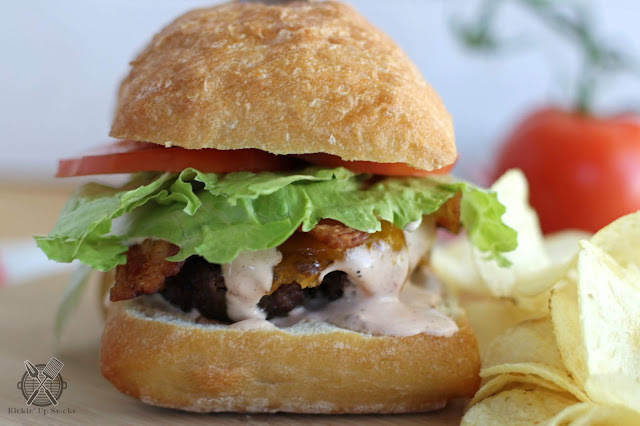 Your taste buds will scream for more. Have you ever spent so much time tending your brisket that you totally forget to make the sauce? 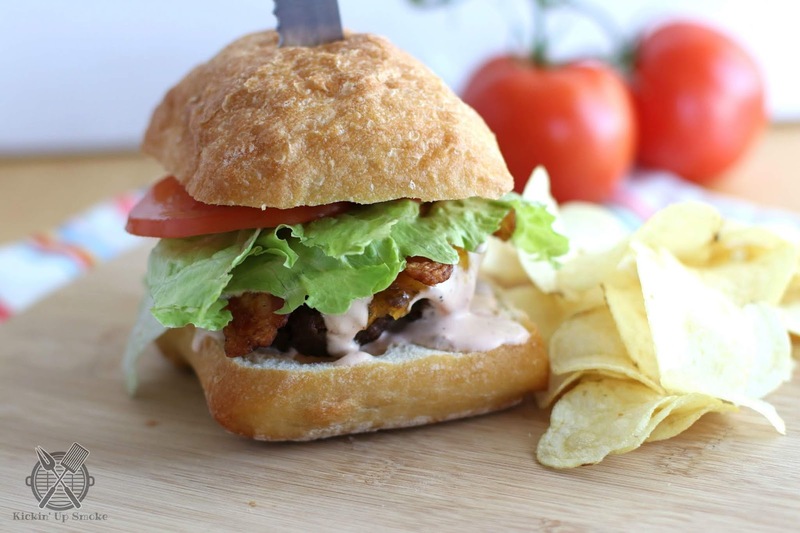 This simple and easy recipe will put you back on track in no time at all. We have hosted several events at our home since moving here last year. 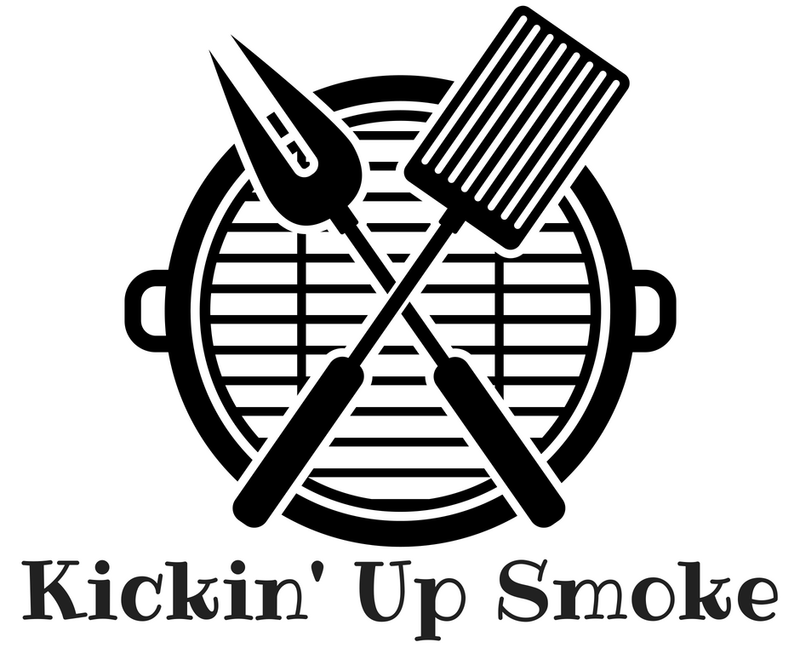 And a majority of those events found me smoking some meat on the smoker. 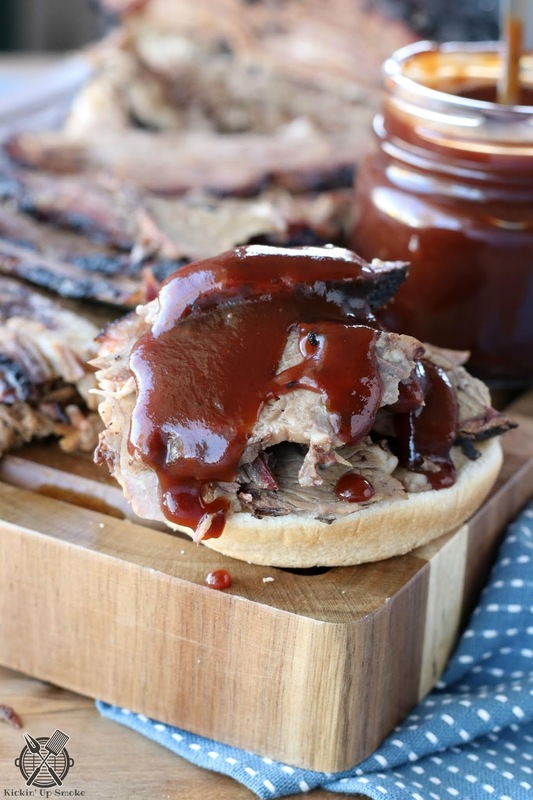 Each and every time I smoked a brisket, it topped all the other foods as a favorite. Smoked brisket is something other worldly on its own but when you drizzle on some of the brisket sauce it brings a whole new level of flavor. 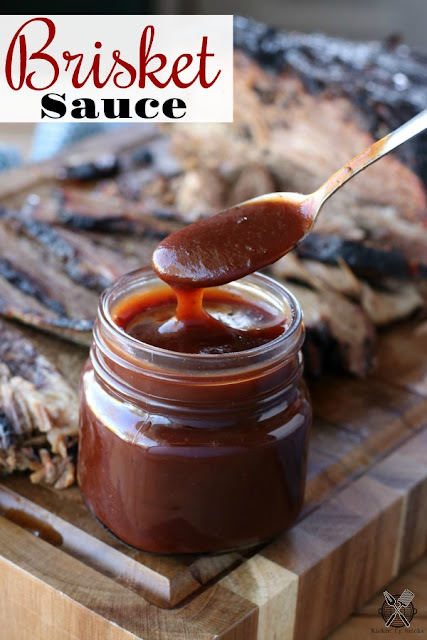 This sauce is so good, you will be mopping it up with your fingers. Totally worth all the napkins. 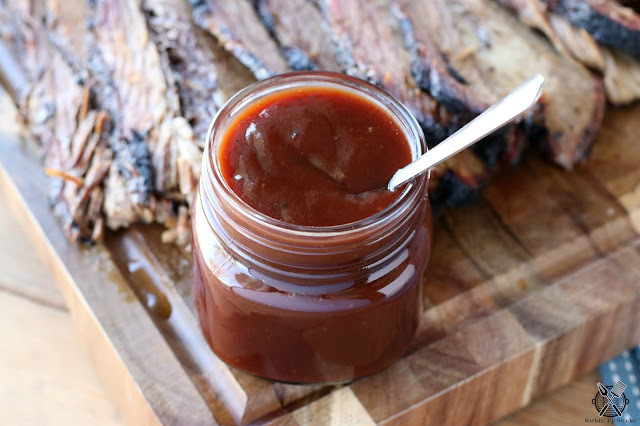 Drizzle this easy 3-ingredient, bold, sweet, and spicy sauce all over your next smoked brisket sandwich. It brings the flavor over the top. Combine all ingredients in a bowl and whisk until combined. Serve with smoked brisket. Keep refrigerated. 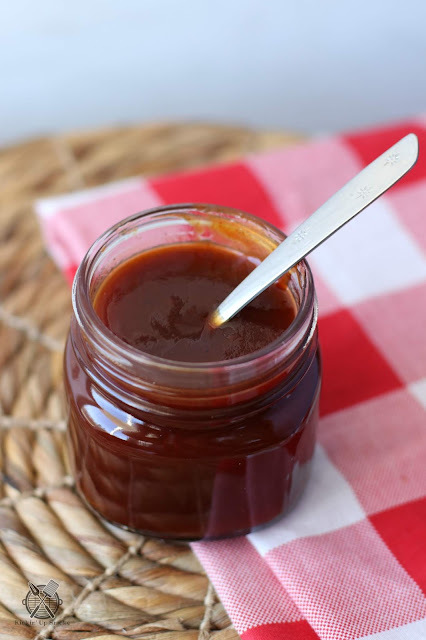 BBQ sauce is one of those condiments that is always in our fridge. 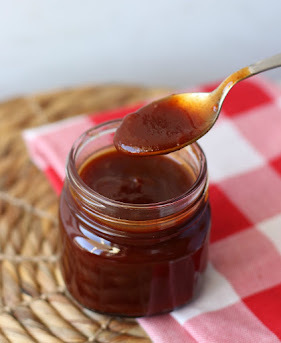 There are so many great sauces you can buy on the market and we have probably used them all. 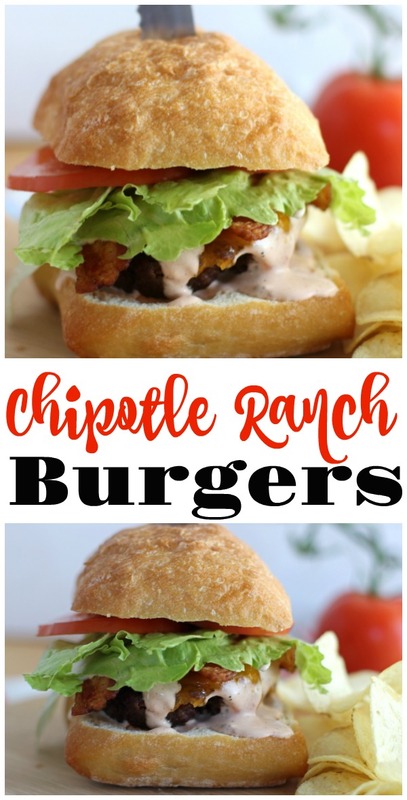 But making your own sauce is so easy to do you will never miss that store bought sauce. This sauce comes together in about ten minutes. Perfect for those days when you go to grab the sauce and there is none to be found. 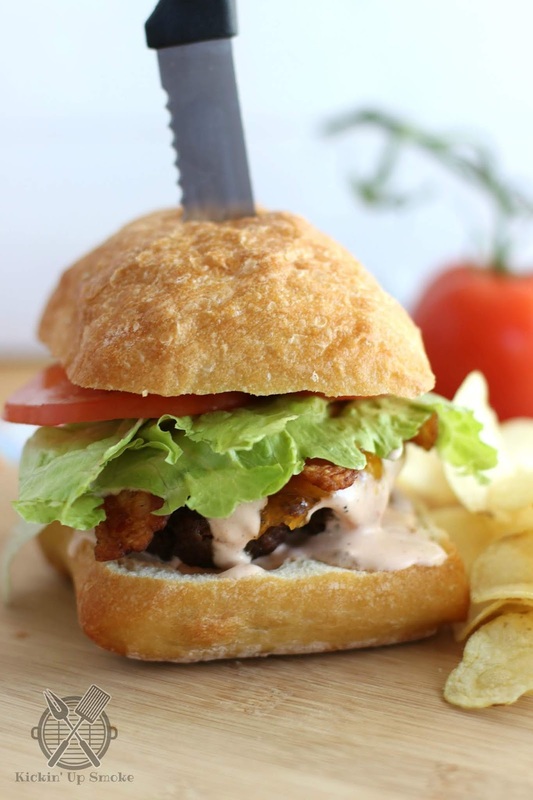 The brown sugar lends a little sweetness while the chili powder gives it just a little kick. 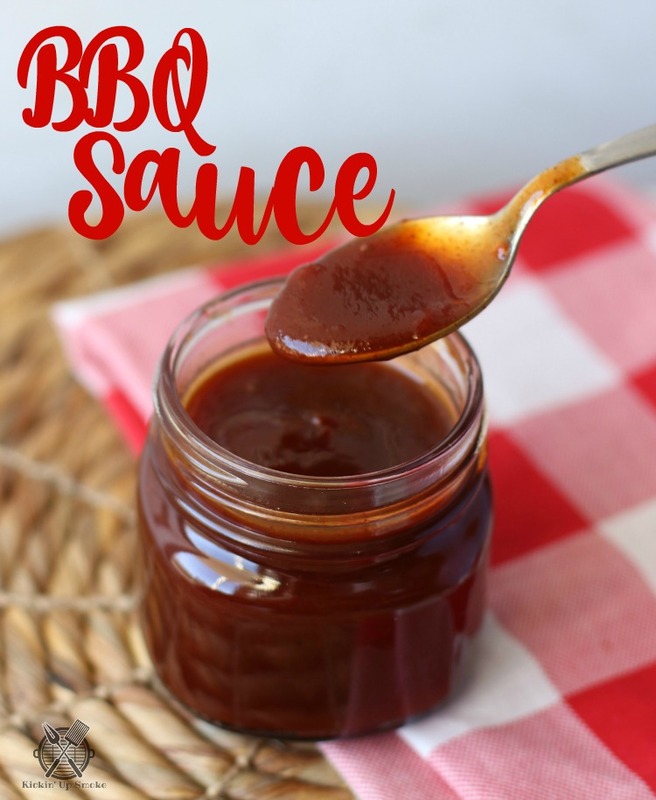 We love to use this to top grilled chicken, pork chops, or one of our favorites, to add to smoked pulled pork. In a saucepan whisk together all the ingredients. Simmer over low heat for ten minutes, stirring occasionally. 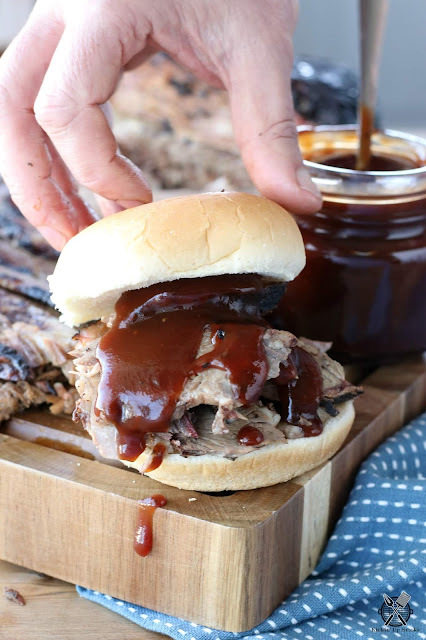 When smoking a brisket, the first thing you need to realize is that there are so many ways to smoking a brisket that it can be very confusing! 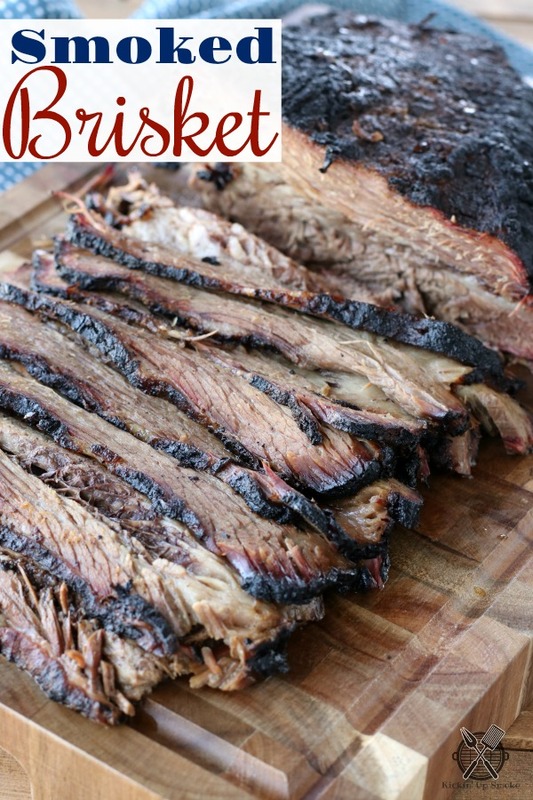 This is personally the simplest, and easiest way I've found to cook a brisket to get that tender, juicy, and full of smoke flavor you want out of a brisket! Lay your brisket on your cutting board. 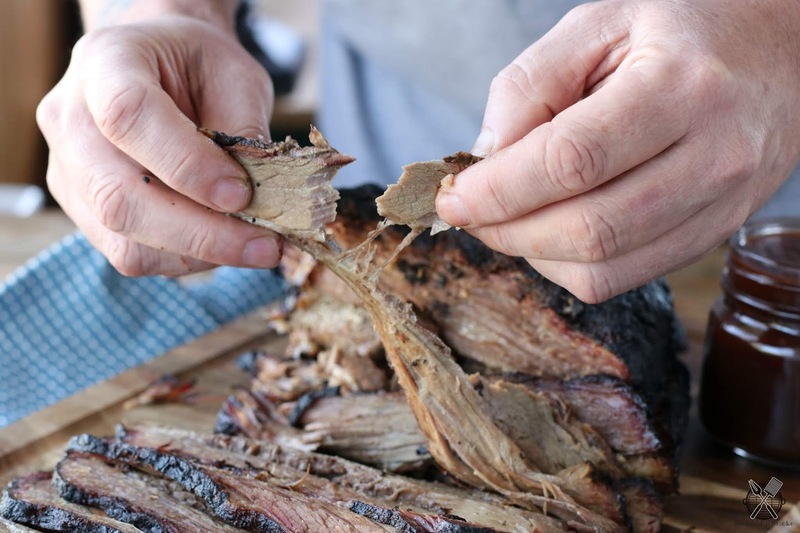 With a very sharp knife trim the fat down about 1\4 of an inch on both sides of your brisket. 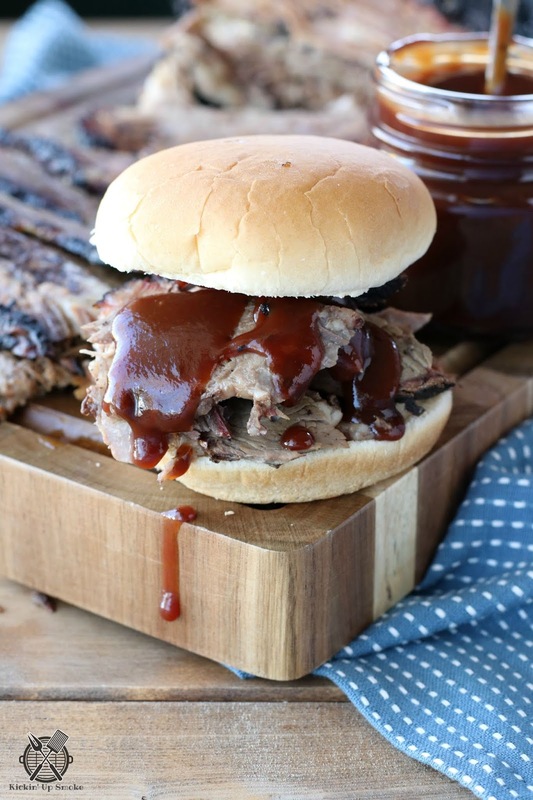 Take paper towels and wipe your brisket completely dry. 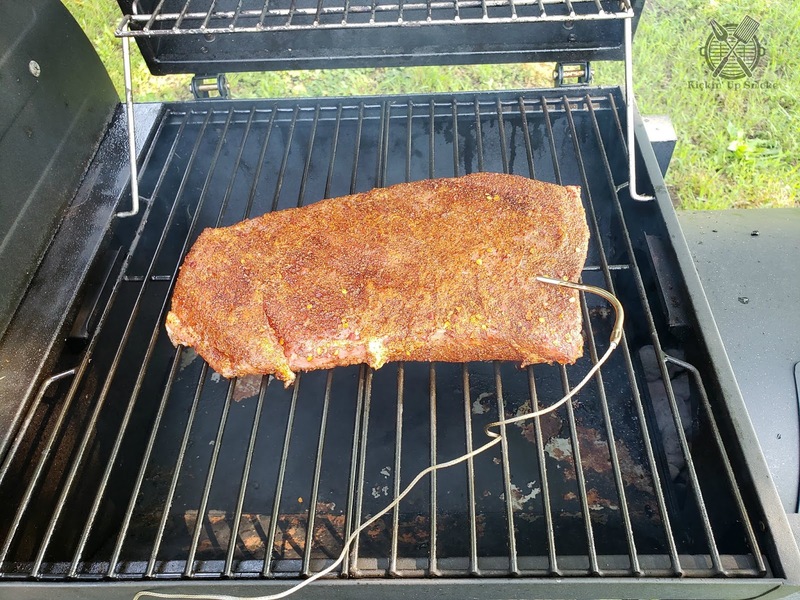 Using olive oil, completely rub down on all sides of your brisket. This ensures that your rub will stick. 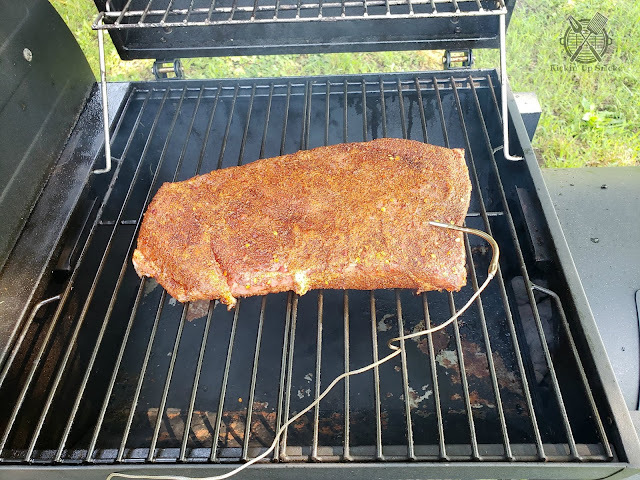 Take your favorite brisket rub (some may prefer just salt and pepper) and cover the entire area on all sides of your brisket. Wrap in saran wrap, and put in the fridge for at least 1 hour. I like to refrigerate over night for all those flavors to really sink in to the meat. Now there are lots of different smokers out there! I personally have a offset wood and charcoal smoker, and a small bullet smoker. Just remember smoking is all about controlling your temperatures and keeping your heat steady. I am using a charcoal chimney starter but if you do not have one just skip that step and light the charcoal in your smoker. Lay a good layer of your favorite charcoal in your fire box. Fill your chimney about 3\4 of the way full. Place newspaper under your chimney and carefully light on all sides. Wait about 15 minutes making sure your charcoal is grey in color. Carefully pour your hot charcoal on top of your unlit charcoal. This will give you longer lasting heat. At this point you will see white smoke. 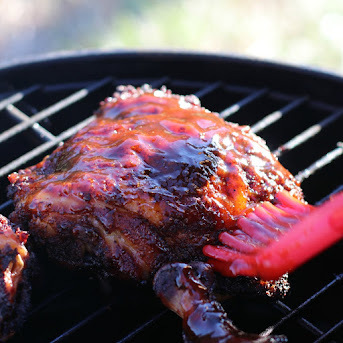 You will want to wait for this to be clear before putting your meat on your smoker. Wait for your smoker to reach 225 to 250 degrees Fahrenheit. 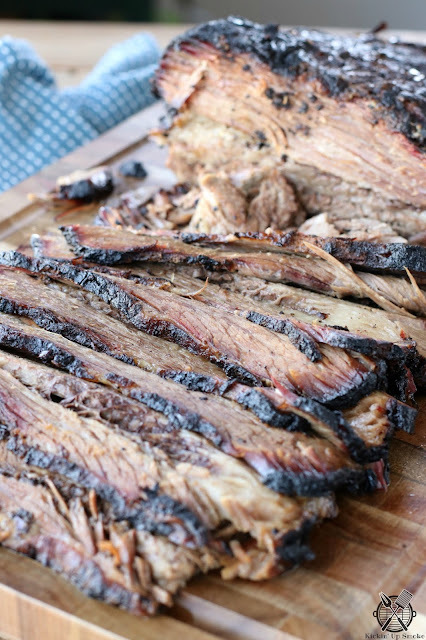 The temperature will drop some because your brisket may be cold. 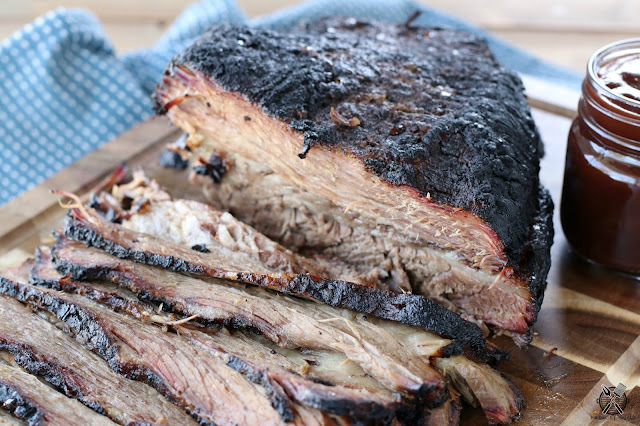 You can avoid some of that by taking your brisket out of the fridge an hour before to ensure room temperature. Don't panic when your temp drops! It will come back up. This is also a good time to add your first chunks of wood, or chips which ever you may have. 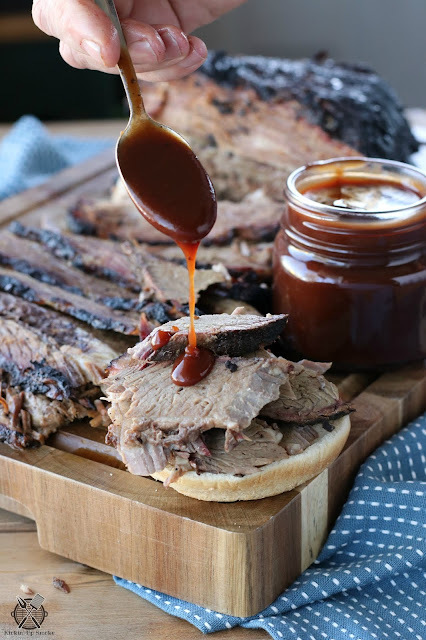 Spray your brisket every 1\2 hour to an hour with beef broth, this will ensure your brisket doesn't get too dry. 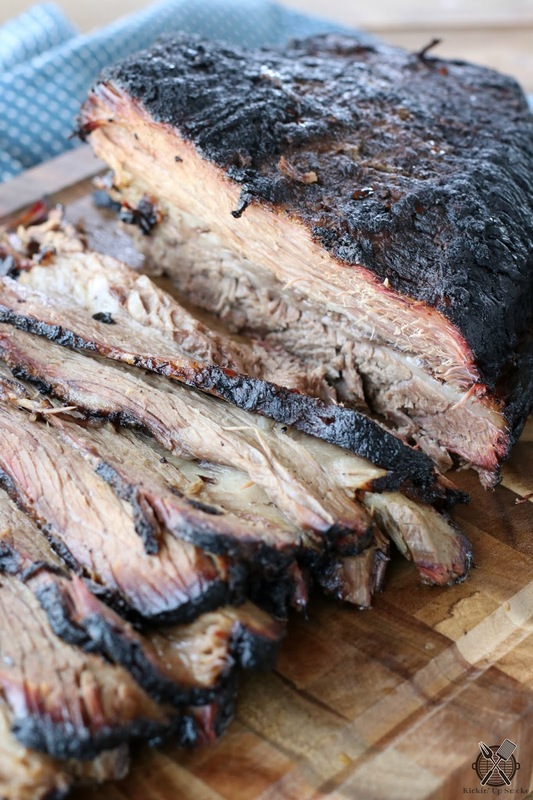 Depending on the size of your brisket the cooking process could take some time. At an internal temp of around 165 you will hit what we call the stall. Again don't panic! This is the process where the fat start to render and break down. This also the point where I start my next process. Using a disposable aluminum pan, lay 4 peeled carrots in the bottom of the pan. Pour beef broth to about a 1\4 inch high in your pan. 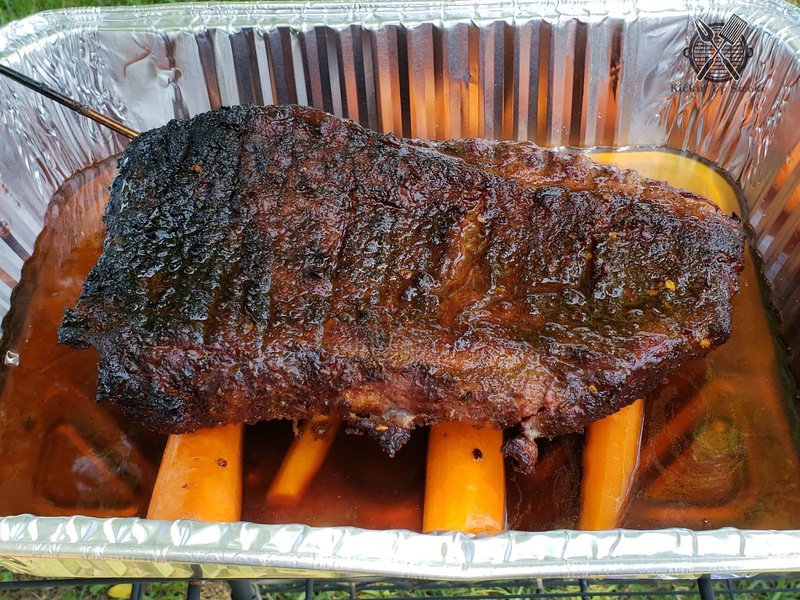 Carefully place your brisket on top of the carrots and cover with heavy aluminum foil. 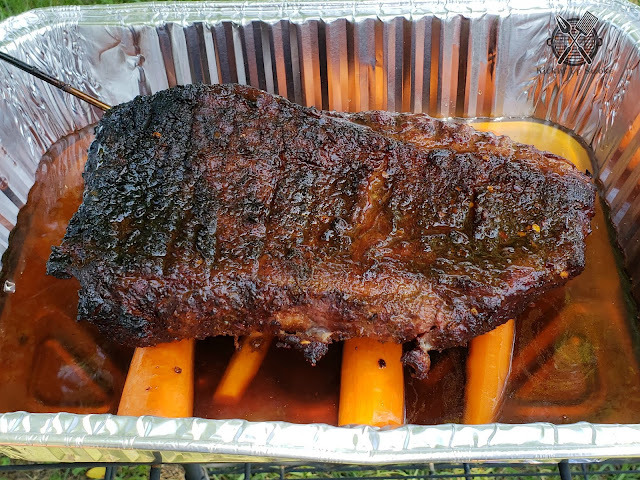 Place the aluminum pan back on your smoker and continue to cook at 225 to 250 degrees until your internal temperature reaches 205 degrees. Take your brisket out of your pan and lay on a doubled layer of aluminum foil, or butcher paper and wrap tightly so no air will get through. Wrap with a towel and place in your oven, or in a cooler so no air will be able to get in. Let rest for at least 1 hour before slicing. Slice against the grain of the meat about 1\4 inch slice and enjoy!